Mary Gay Scanlon, candidate for Congress in PA-5 with JAC member Deborah Gordon Klehr, who delivered JAC support to the candidate. JAC member Rhoda Mains (l) delivered JAC support to Margaret Kelliher (r), candidate for U.S. Congress in MN-5. It's all up to the millennials. They will be voting, hopefully in force, this November. Also, millennial candidates will significantly change the make-up and direction of the next Congress. Their diversity and fresh approach to our nation's problems are desperately needed. These young, progressive candidates are embracing issues that are on the forefront of their generation such as student debt, healthcare and gender equality. But where does Israel fit into their issue package? Today Israel generally receives overwhelming support in Congress in terms of foreign aid. Over the years, the U.S. and Israel have developed a close strategic partnership which encompasses security, energy, and business areas. Israel and the U.S. are close partners in the effort to fight terrorism. It wasn't always like this. When JAC was founded in 1980, many friends of Israel in Congress were defeated by the Radical Right and political groups that opposed Israel and the values of mainstream American Jewry. In the decades that followed, JAC has remained committed to the U.S.-Israel relationship as its core issue, while defending social policies consistent with the priorities of the American Jewish community. More white nationalists are running for state or federal office than in any other election in modern history, according to the Southern Poverty Law Center. 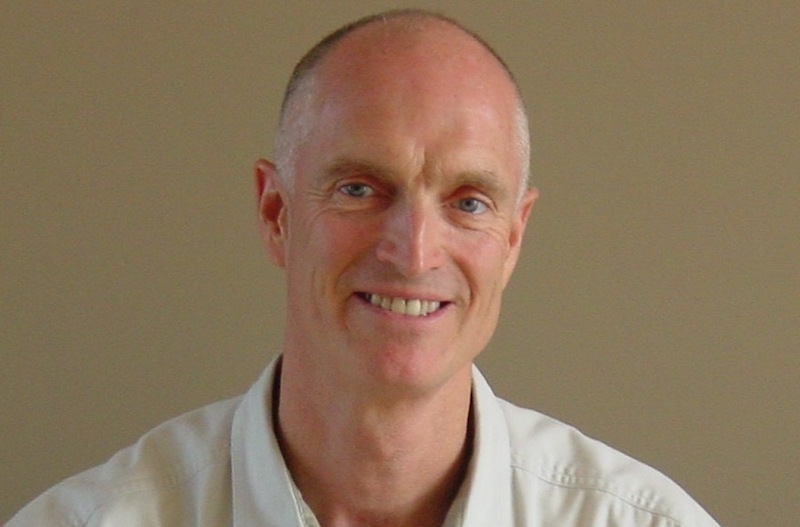 Some candidates have shied away from issuing a public position on Israel and BDS. Others have called Israel an "apartheid regime" and "occupier" and have pledged to slash aid to Israel. It is up to us to continue to advocate for strong support for Israel with our candidates and elected officials. Let's have an open and honest discussion about Israel, but not apply a double standard or delegitimize it. Support for Israel can never be taken for granted. Complacency is dangerous. If he is confirmed to the Supreme Court, all of our issues will be in jeopardy based on his history of extremist views. 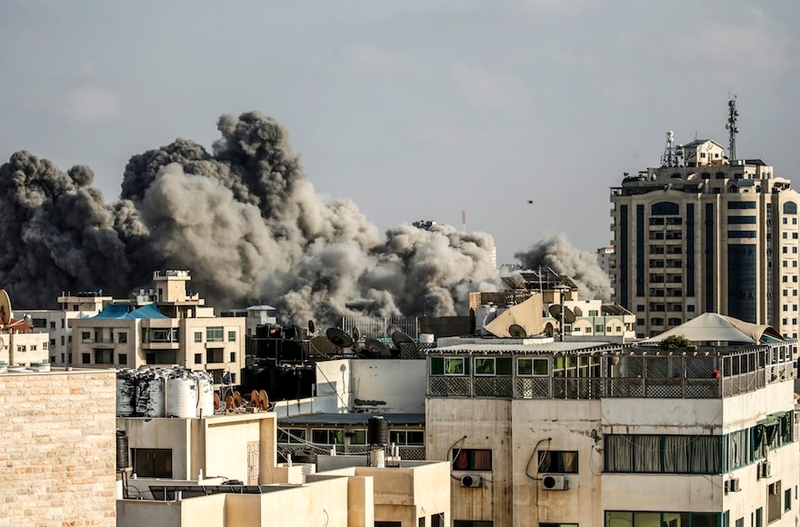 Israel has committed to the reconstruction of Gaza and discussing the possibility of airports and seaports in the Hamas-controlled coastal territory. 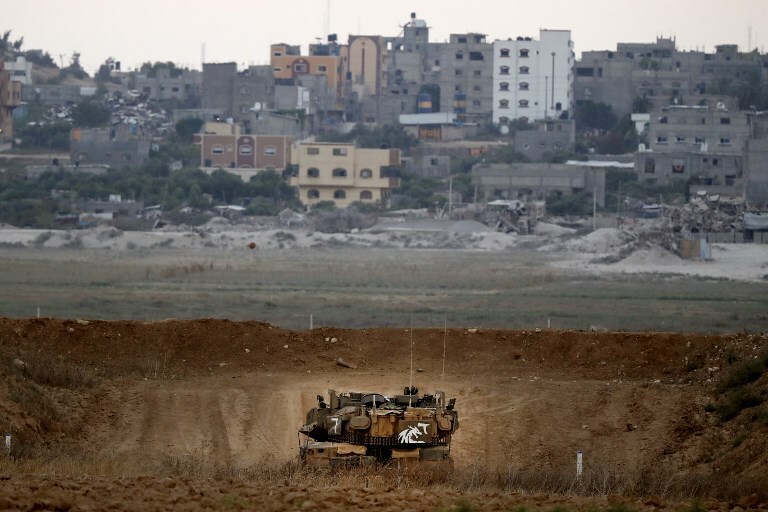 Details have begun to emerge regarding these and other terms of the Egyptian-brokered cease-fire deal between Israel and Hamas. Its implementation began Wednesday following months of escalating tensions between the two sides. A reported truce agreement aimed at calming weeks of border clashes and violent exchanges between Israel and Hamas on the border with the Gaza Strip will last for a year and see the establishment of a cargo shipping connection between Gaza and Cyprus. The head of Egyptian intelligence Major General Abbas Kamel met with Prime Minister Benjamin Netanyahu, Israeli sources confirmed. Kamel arrived to Israel as the guest of Meir Ben Shabat, the head of the National Security Council. According to previous reports with Arab sources, Kamel met with Israeli officials and spoke about a possible prisoner exchange deal and updated them on the results of the recent talks between Hamas and Fatah in Egypt. Evangelist leader and vocal Trump supporter Franklin Graham went after Chelsea Clinton for saying women's access to abortion helped boost the economy, saying that Hitler probably claimed that "killing the Jews" would be good for the German economy. Steve West, who has made anti-Semitic and other bigoted statements, handily won a primary for the state's House of Representatives. "Looking back in history, unfortunately, Hitler was right about what was taking place in Germany. And who was behind it," he said in an 2017 interview. The possibility of another Trump nominee ascending to the Supreme Court bench has created a sense of urgency among abortion supporters in the states, where activists are pushing to safeguard access to the procedure. Supporters of abortion rights are encouraging state lawmakers to scrub unenforced laws banning or restricting abortion off the books, should the Supreme Court throw the decision on whether abortion should be legal back to the states. Doctors, including those who have kept abortion in the distance and out of your practices, will be in professional jeopardy. Expect every medical decision to be questioned. Expect more pregnancy complications in your offices. The Doctor Doesn't Listen to Her. But the Media Is Starting To. Stories of neglect within women's health care, especially women's sexual and reproductive health care, are bubbling up to the surface -- being documented, circulated, and acknowledged by public discourse-in curious abundance. Tennis great Serena Williams, who gave birth in September 2017, shared how she had to urgently insist to the hospital staff that what she was experiencing after her C-section was a pulmonary embolism in order to get the treatment she needed to stay alive. You could list all Trump's scandals and it would not (at least in the eyes of his supporters) be disqualifying. 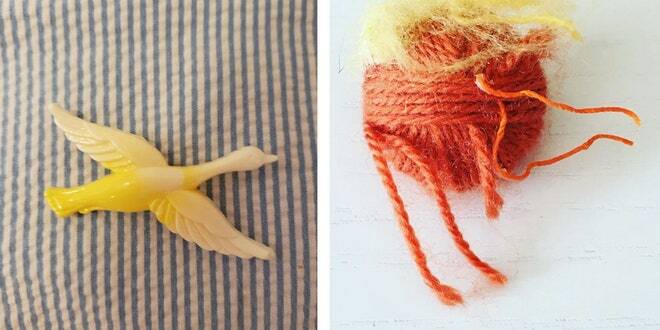 Miraculously, he remains on top. This year, Gallup has registered an approval rating among the members of his own party ranging from 81 to 90 percent. Is it Trump-or something larger than Trump? Possibly, it's both. Here is a look at the increasing secularization of American society and how it had contributed to the rise of political tribalism. This was a year of unparalleled success for the gun control movement in the U.S. States, including 14 with Republican governors, enacted new laws restricting access to guns, ranging from banning bump stocks to allowing authorities to temporarily disarm potentially violent people. "Legislators are starting to realize that mass shootings can happen in their state anytime. And they don't want to be in a position that this kind of thing can happen," said Giffords Law Center attorney. In its zeal to enhance the profits of fossil-fuel, chemical, and other industrial polluters, the Trump administration is exposing many millions of American children to dangerous and often life-threatening poisons and contaminants. Lead, asbestos, poisonous insecticides, fossil-fuel emissions, and many other toxic pollutants contaminate our air, water, food, and homes. Children's central-nervous, immune, and other systems are still undeveloped, and exposure to toxic substances can cause irreversible damage. Even a fetus is at risk if a woman is exposed to toxins during pregnancy. Millions of new voters could register across the country, starting Tuesday, with the launch of an online tool meant to help former felons restore their right to vote. The Campaign Legal Center's website attempts to guide users through a sometimes confusing jumble of state laws to determine whether past convictions or unpaid fines would keep them from the ballot box. It is the latest salvo in a growing movement to politically empower formerly incarcerated people, a group that is disproportionately African American. Stephen Miller Is an Immigration Hypocrite. I Know Because I'm His Uncle. 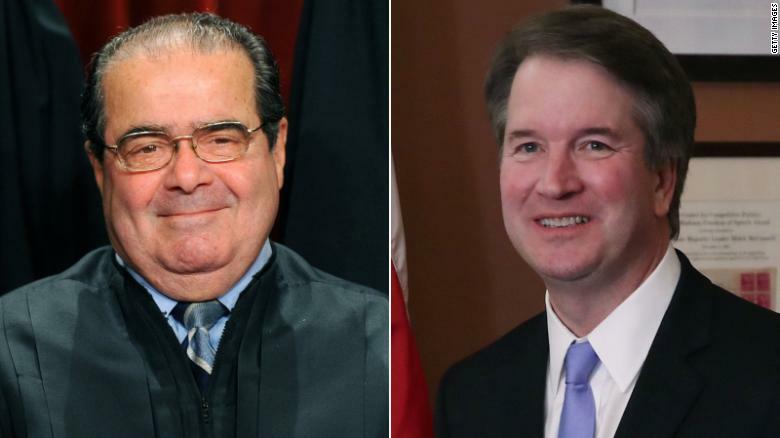 President Donald Trump has extolled the late conservative icon Antonin Scalia, and so has his new nominee for the Supreme Court, Brett Kavanaugh. In some of his most forceful speeches in recent years, Kavanaugh has referred to the conservative justice who served from 1986-2016 as a "role model" and a "hero." Judge Brett M. Kavanaugh, in a speech last year, gave a strong hint at his views on taxpayer support for religious schools when he praised his "first judicial hero," Justice William Rehnquist, for determining that the strict wall between church and state "was wrong as a matter of law and history." Over his decades-long legal career, Judge Kavanaugh has argued in favor of breaking down barriers between church and state. If the court does hear a case that brings up the issue of legalized abortion, it is hardly clear that it would take the drastic step of overruling Roe v Wade. The court could instead opt for a more incremental strategy, upholding increasingly severe restrictions in much of the country but stopping short of saying that the Constitution has nothing to say about a right to abortion. As women line up to run for U.S. political office at historic rates, state legislatures - where some of America's most critical policy decisions get made - could see a slew of new female lawmakers after November's vote, according to a Reuters analysis of election data. In June, voters in Washington DC made a decisive choice to raise the minimum wage to $15 an hour for restaurant workers and others who earn tips. Less than 24 hours later, council members were already trying to overturn the decision. "It's not really the will of the people; it happens to be the will of the 17 percent of people who showed up and voted." This fight reflects a national trend in which state lawmakers are persistently working to overturn decisions made by voters at the ballot box. Democrats are threatening to take the GOP to court to keep Rep. Chris Collins (R-N.Y.), who's been charged with insider trading, on the November ballot. New York Democrats believe they have a better shot of flipping the red, Buffalo-area seat if the embattled congressman's name stays on the ballot, and they want to keep Republicans from replacing him with a potentially less toxic candidate. 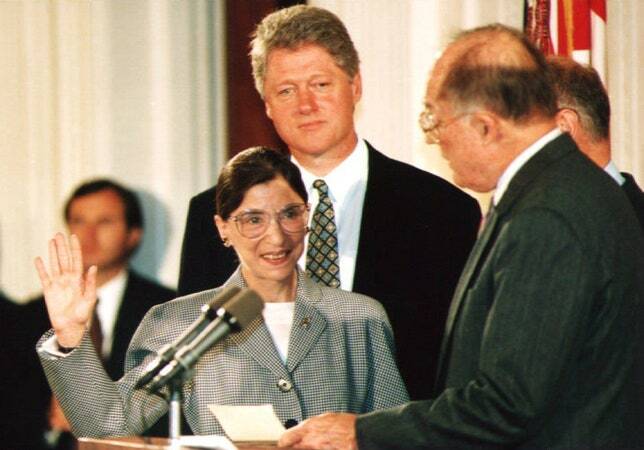 On August 10, 1993, Ruth Bader Ginsburg took her judicial oath at the White House, becoming the first Jewish woman and only the second woman justice ever appointed to the Supreme Court. There are many reasons the nation loves Ginsburg (her intense workout included), but her work as a feminist trailblazer started way before she took a seat on the highest court in the land. There are lots of ways to get your political message across: hanging a rainbow flag out your window, donning a Dump Trump T-shirt, or if you are former Watergate prosecutor Jill Wine-Banks, wearing a different brooch each time you are on TV to express your commitment to a progressive agenda. "Through your (Trump) actions, you have embarrassed us in the eyes of our children, humiliated us on the world stage and, worst of all, divided us as a nation."